In 2004, an immigrant from the Philippines who was married to a U.S. citizen came to this country on a K3 visa. After inadvertently registering to vote at the DMV, receiving a voter registration card in the mail, and voting, her removal proceedings were set in motion. The case began in Chicago’s immigration court and was later heard by the U.S. Court of Appeals for the 7th Circuit. 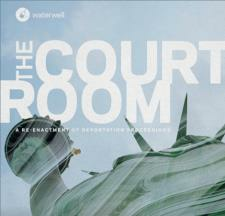 Email madelyn@waterwell.org, subject to availability.